From one event to the next, and all with a runny nose and stuffy head, but I'm not missing this! Sunday 11:00a.m. - 5:00 p.m. The show began as a non-profit organization chartered by the Houston Alumnae Chapter of Kappa Alpha Theta in 1952. The Theta Antique Show has raised over 6.5 million for medical research, cultural arts and education. 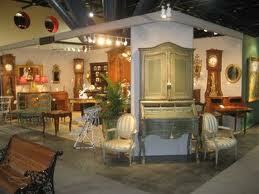 There will be antiques from the 17th to 20th centuries from dealers all over the globe. Lucky me, I have been invited by friends to attend the Special Event Luncheon (this Friday) featuring Lady Henrietta Spencer-Churchill. (last year it was Martha Stewart). They get the BEST speakers! 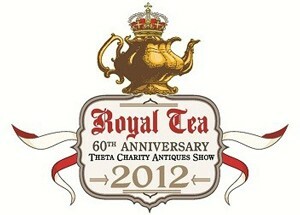 I'm so excited and of course also worried about "what to wear" to meet and listen to Lady Henrietta Spencer-Churchill. If you are not into design and decorating you are probably not as wound up as I am, but she's an amazing English Interior designer and founder of Woodstock Designs, author of several design books as well as books on the Blenheim and Churchill family. She has impeccable style. I'm giddy with excitement. I guess having a stuffy head and super runny nose is a small blessing this week, nothing taste good and thank GOODNESS! It's water and yogurt all week to get ready for Friday. A special thank you to Lana M. and Shannon W. for inviting me to be a guest at their table. It's going to be awesome; looking forward to your post!